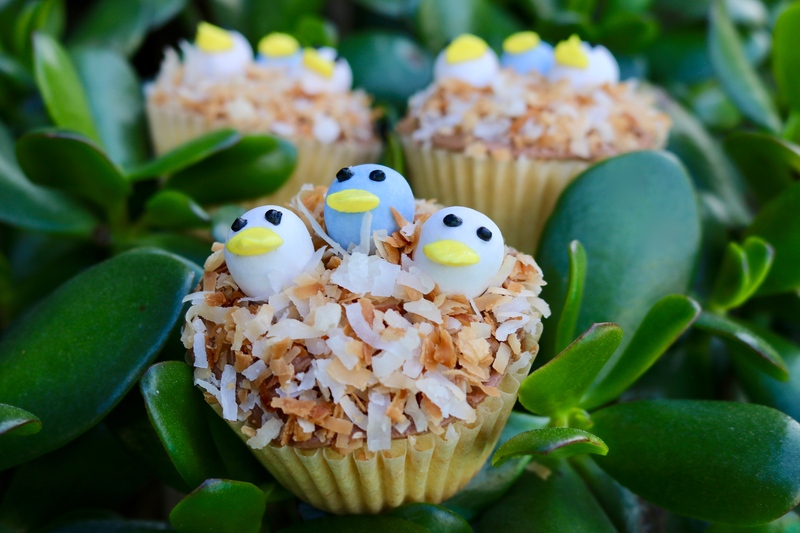 These Birds Nest Cupcakes are almost too cute to eat! Perfect for a Spring party, Easter brunch or if you just want to impress your friends! 1. Pre-heat oven to 350 degrees and put baking cups in a 12-count muffin tin. 2. 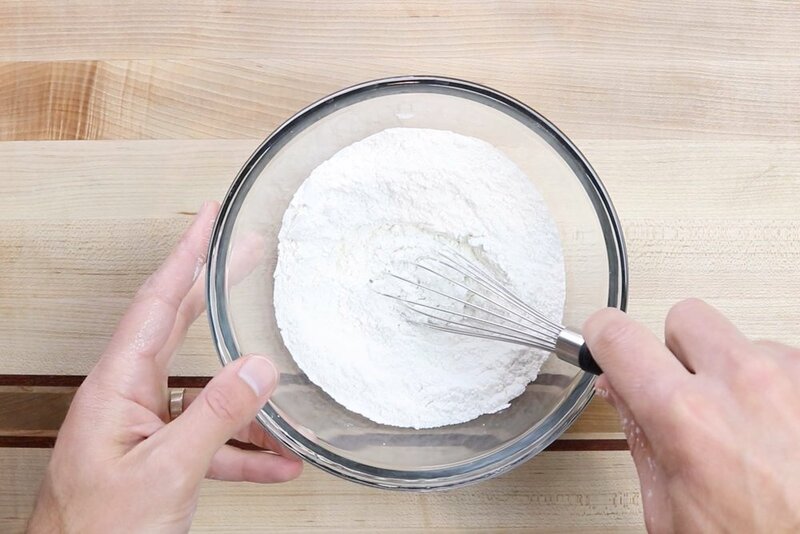 In a medium bowl add flour, cornstarch, baking powder, and salt. Whisk until incorporated. Set aside. 3. Add softened butter to a large bowl or the bowl of a stand mixer. Beat until smooth. 4. Slowly add the sugar and beat until all is combined scraping down the sides when necessary. 5. Add eggs, egg yolk, vanilla, sour cream and milk. Mix on medium speed until just combined. 6. Add half of the flour mixture and mix. Scrape down the sides. Add remaining flour mixture and mix until just combined. 7. Divide batter evenly between baking cups about 2/3 full. 8. Bake cupcakes for 20 - 22 minutes. Remove from oven and let cool completely before decorating. 1. In a large bowl or a stand mixer, add butter and beat until smooth and creamy. Add vanilla and continue mixing. 2. Slowly add the powdered sugar. Mix on low speed. Mixture will be clumpy. 3. Slowly add the heavy cream scraping down the edges halfway through. 4. Add cocoa powder and mix until combined. Gradually increase mixing speed to high and beat for 1-2 minutes and icing is light and fluffy. 1. Spread coconut evenly over baking sheet lined with parchment paper. Bake for 10-12 minutes at 350 degrees until coconut is a golden brown. Set aside to cool. 3. 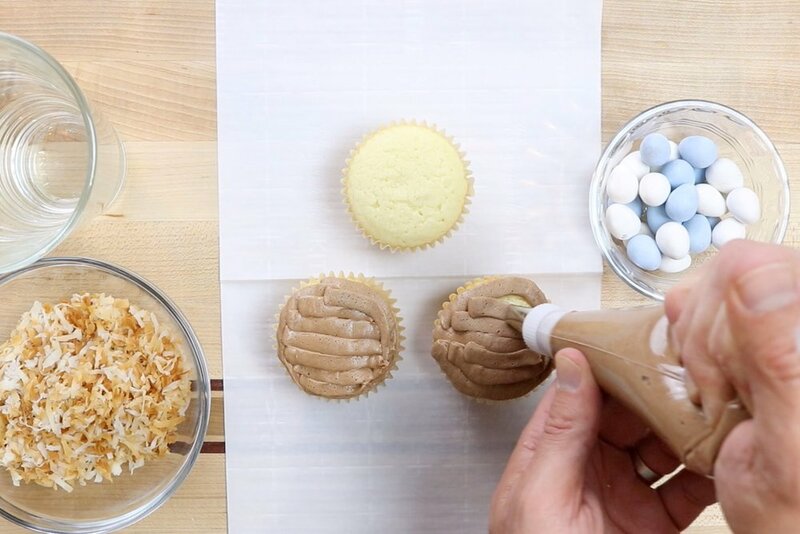 Using a knife or an icing bag, frost cooled cupcakes with chocolate buttercream frosting. 2. With the non-chocolate buttercream that was set aside, make yellow and black icing for the beak and eyes. Use more icing for the yellow than black. Transfer to icing bags with #1 tip for the black and #124 petal decorating tip for the yellow. 4. Gently press Cadbury Mini Eggs into the center of each cupcake with the pointed end facing down. 5. Sprinkle the toasted coconut around the cupcake filling in all the frosted area. 6. Use the yellow icing to create a beak and the black icing to make eyes for the birds. Pre-heat oven to 350 degrees and put baking cups in a 12-count muffin tin. In a medium bowl add flour, cornstarch, baking powder, and salt. Whisk until incorporated. Set aside. Add softened butter to a large bowl or the bowl of a stand mixer. Beat until smooth. Slowly add the sugar and beat until all is combined scraping down the sides when necessary. Add eggs, egg yolk, vanilla, sour cream and milk. Mix on medium speed until just combined. Add half of the flour mixture and mix. Scrape down the sides. Add remaining flour mixture and mix until just combined. Divide batter evenly between baking cups about 2/3 full. Bake cupcakes for 20 - 22 minutes. Remove from oven and let cool completely before decorating. 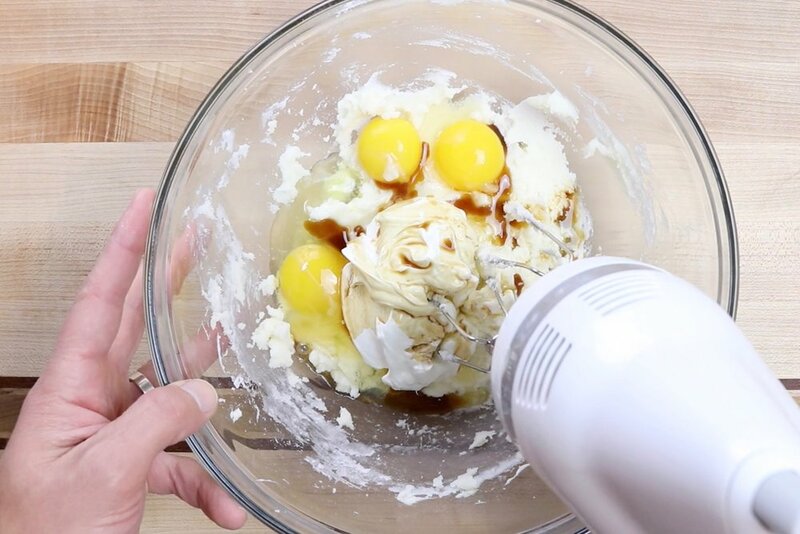 In the bowl of a stand mixer, add butter and beat until smooth and creamy. Add vanilla and continue mixing. While mixing on low, slowly add the powdered sugar. Mixture will be clumpy. Pre-heat the oven to 350 degrees and prepare a baking sheet with parchment paper. 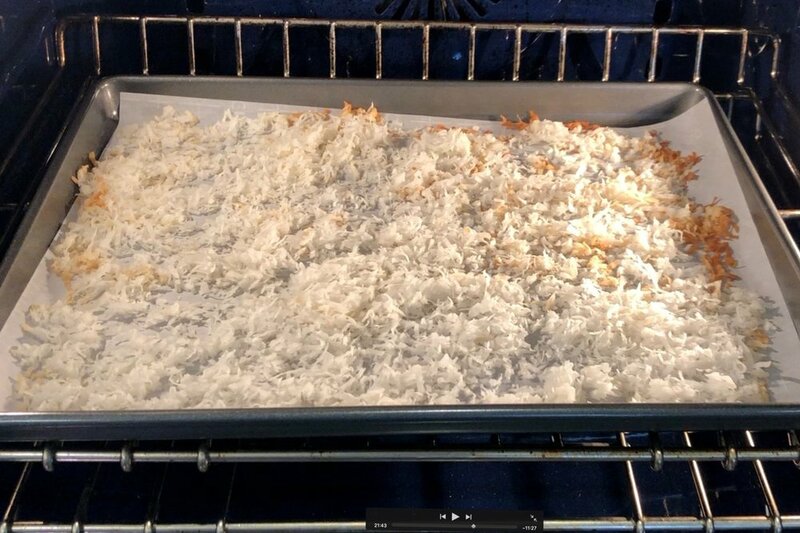 Spread coconut evenly over baking sheet. Bake for 10-12 minutes until coconut is a golden brown. Set aside to cool. With the non-chocolate buttercream that was set aside, make yellow and black icing for the beak and eyes. Use more icing for the yellow than black. Transfer to icing bags with #1 tip for the black and #124 petal decorating tip for the yellow. Using a knife or an icing bag, frost cooled cupcakes with chocolate buttercream frosting. Gently press Cadbury Mini Eggs into the center of each cupcake with the pointed end facing down. Sprinkle the toasted coconut around the cupcake filling in all the frosted area. Use the yellow icing to create a beak and the black icing to make eyes for the birds. It will take some practice to get the beak to look right. Use a toothpick to help shape if necessary. You can also use melted chocolate for the eyes. Just dip a toothpick in to make little dots.